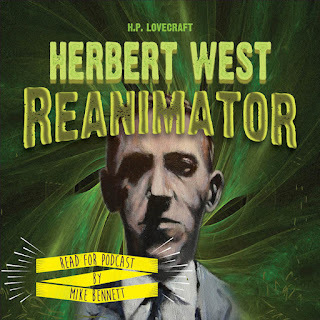 Just a quick note to let you know that Herbert West: Reanimator (full text) and Azathoth by H.P. Lovecraft have entered the Vault of Lovecraft (that's the new podcast with all the readings I've done since 2007 in it, just in case you missed my previous blog entry). Cthulhu suggests in the politest possible manner that you share news of the Vault with any of your Lovecraft-loving chums. Link to it on Facebook, Twitter, What'sApp or whatever other social media device you use. Otherwise mankind will be destroyed ... he says.